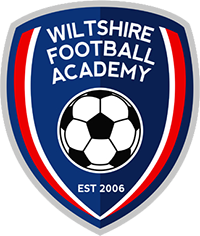 Wiltshire Football Academy is the Football arm of Advanced Sports Coaching Ltd and this is where we’ve had the most success over the years. As well as working alongside Reading FC, ASC Ltd now has strong links with a number of other professional Football Academies. Having these links means there is no better place for young players to hone their skills, whilst being ‘in the shop window’. As a result of this, a large number of players who have come through our various centres, have progressed into professional programmes at various clubs, including Reading FC, Swindon Town FC, Southampton FC, Bristol City FC, Bristol Rovers, Yeovil Town FC, Cheltenham Town FC, Oxford Utd FC and the Wiltshire County FA Girls Centre of Excellence, check out our Success Stories page for news of players we’ve helped in the past!